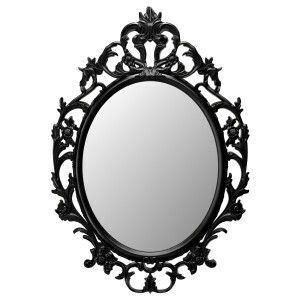 Mirrors are important in Feng Shui and can be used as remedies and cures. They help Ch’i energy to move more harmoniously through your home or office. They can make a small room look larger, a dull room look brighter, increase your wealth and your luck, and deflect bad energy; altogether an amazing tool that has so many practical uses. I did an article on mirrors in the bedroom which you search for in the notes section. The front door of your home or business is crucial to the flow of Ch’i in and out of your property. Try this simple test. 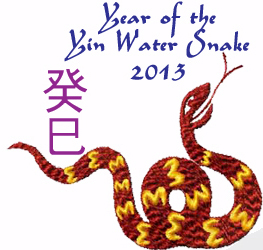 Stand at your front door and look out, checking to see what poison arrows (Sha Ch’i) are directed at your home/office. Sha Ch’i are lampposts, corners of neighbouring buildings, a road pointing towards your front door, end of a cul-de-sac, anything you feel is pointing at your home in a threatening way. The cure for this particular problem is a Ba Gua (Pa Kua) mirror. I have listed the different types below. Flat Ba Gua mirrors are eight sided with a mirror on the inside and trigrams on the outside. These are the most popular and can be purchased at most good Feng Shui shops. They are used as a general cure for any of the above problems. You must never use a plastic Ba Gua mirror; they are very bad and can cause many problems. Concave Ba Gua mirrors should be used to draw in good Ch’i. For instance if you have a good setting for Feng Shui, such as a river, hills etc, place the mirror on the outside to draw in this good Ch’i. 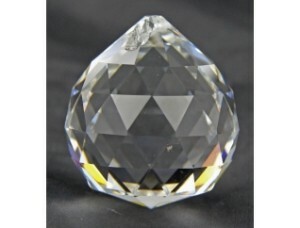 An excellent cure we have used for many businesses is placing a mirror beside your shop till with a crystal faceted sphere hanging above. We have always had positive feed back on this cure; in fact we use it ourselves. It is said to double your wealth luck. Never place two mirrors opposite each other as they just bounce the Ch’i energy from one to another. Long corridors or narrow hallways. Stagger mirrors on either side (never have them facing each other) to slow the Ch’i energy as well as creating a wider and brighter area. At the end of the hallway try and place the mirror where it can catch some natural light to flow through the area. Always keep your mirrors and windows clean and replace broken or cracked mirrors immediately. This may seem a strange subject and one that you would not think was related to Feng Shui but I can assure you that picture frames and even the contents inside the picture frames can have a major effect on the energy in your home or office. If you were to walk into someone else”s home and take a look around the house and saw pictures of distressing images like graveyards, dark and distressing woodlands and similar photos, chances are your first impressions of the home would not be good ones. This is due to the fact that humans generally take 10-15 seconds to decide whether they like something or not. With spring bank holiday coming up in the UK on the 26th May 2014, it is predicted that 45% of people in the UK make home improvements during a bank holiday and for many people; to put this in perspective, there are 63.23 million people in Britain and an estimated 28,453,500 people will be doing some type of home improvement. 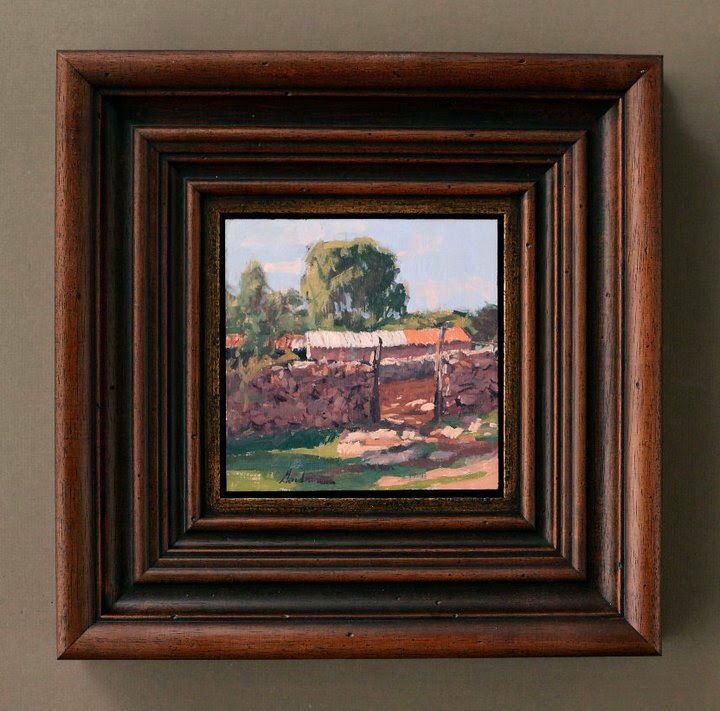 Lets say that only 10% of the 28,453,500 people decide to purchase and hang a new picture on their wall, that equals to 2,845,350 people that could potentially be seriously altering the energy in their home without even realising. 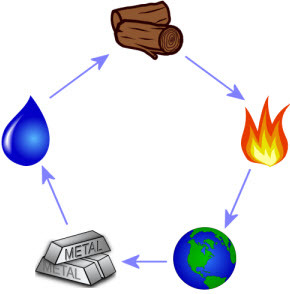 The five elements all lay host to different shapes which can really benefit you if used correctly but can also wreak havoc when used incorrectly so please read on to make sure you get this bit right. 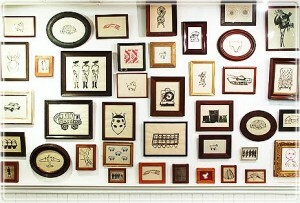 Wood – rectangular picture frames are associated with the wood element which could include full body sized pictures and also, wide angled landscape city shots. Fire – Triangular and spiky picture frames are associated to the fire element; although this shape is a lot less common, it is best to list it to make you aware of the influence that a picture frame this shape can have. 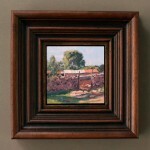 Earth – Square picture frames are associated to the earth element which is one of the most common picture frame types. Metal – Circular picture frames are associated to the metal element and are commonly used for portrait photos. 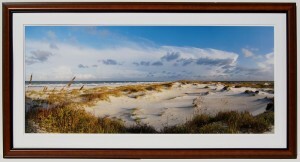 Water – Wavy photo frames are associated to the water element; you may have never seen a wavy photo frame but this goes for photo frames that have a windy, flowing curve to the frame. I would recommend starting with the Annual Flying stars and keeping an eye on the Monthly Flying Stars and keep track of where you place your picture frames around your home or office and which elements are attached to them. The materials and images are quite self explanatory although I can”t imagine you would have a picture frame made of water. I hope you have enjoyed reading this article and will take this in to consideration the next time you purchase a new picture frame. I hope you are well and have had a great start to the year of the Yang Wood Horse and are welcoming the Spring weather that this time of year has to offer; it is such a relief for us in the UK now that the rain and wind has finally stopped. It’s hard to believe that we are already a quarter of the way through the year as 2014 is going so fast and some times it feels as if your feet don’t get a chance to touch the ground.This year has been an extremely busy year for us so far and has been a great time of celebration and dedicating time to new projects for the store which has been great fun.I spent a long time writing the articles for the Spring newsletter and this information is extremely valuable and even reminded me about jobs I need to do around my home that I had forgot all about so although I’ve added to my list of jobs to do, it will help me prevent future problems. Feng Shui and Clutter have a very close relationship with each other than most people would not expect although it is very much a fact that having clutter in your life can severely affect the energy of yourself and your home or business. There are many ways that Feng Shui elements can be introduced into modern life and for every person; their home or office is the ideal place to start. In weighing up whether Feng Shui is right for you and if it’s affecting you, it can be helpful to think about clutter and its negative effects on you and your home. You may not realise that a cluttered home can have an impact on your home life, personality and even wealth. This is why introducing Feng Shui and limiting clutter can help create a more peaceful and abundant home. A home that is cluttered will be draining, both visually and physically. If you look around at a busy room at your home or in any building, it is only natural that you will feel tired and can even lack motiviation, which of course, reduces the likelihood of taking action to remove the clutter from your home. Allowing this cycle to continue will see your home become even more cluttered and you will feel increasingly tired. This is why it is important to break out of this cycle. If you went to a car showroom to buy a car and the cars were all dirty and the showroom was filled with mess, chances are you will not feel as though you would like to do business there or feel very welcome and the same can be said for a home. Having so much stuff around your home can make you feel that there is too much going on in your life. If life is starting to feel a little overwhelming, stop and have a look around. Do you see clutter everywhere you look at home? If you do, this may be contributing to your emotions. This is where taking the time to de-clutter your home will fill you with a sense of optimism. This action car racing games download is one of the overriding emotions people when they carry out a spring clean but you can benefit from this at any time of year. With Feng Shui, you need fresh Qi to flow around your home as much as possible and when the home is filled with clutter and mess, this can restrict the Qi and cause problems around the home so make sure that you clear as much clutter as possible to help the flow of Qi. Are you using your money wisely? A cluttered home can lead to a cluttered life and many people in this situation will find that their life is out of control. Removing the clutter of a home and channelling energy in the right manner will help to provide focus and clarity in a person’s life. If you pare back in life and remove the clutter, you may find yourself in better positions to see the things that are going on around you and where you need to be in life. Having a high level of quality and natural light and air will both contribute to allowing fresh Qi to flow around the home and lift spirits in general. These are essential for creating good Qi at your home, helping you to feel relaxed and at one. When it comes to minimising clutter and creating a positive atmosphere, natural light and air are of considerable benefit. I will be spending this bank holiday weekend getting a load of boxes together and filling them with all my old rubbish that I have hoarded over the years and having a complete clear out of my home. I hope you all enjoyed reading and hopefully this article has helped to motivate you as it did myself! Feng Shui tips on what to look for in your present home/office or a new one if you are thinking about buying. The Dusty Millers are an Elfin tribe that has been in the ShaMan business for centuries. Over the years they have made countless people very special items, many of whom have become leaders in their field of endeavour. The Dusties themselves are world famous for their work with “LiveWood.” For more information on the Dusty Millers Click here. On this page is a summary of all the Dusty Millers products we have to offer. Click on a heading for more information and pictures, or order directly by clicking on the Order button alongside the product you are interested in. A simple but very effective way of cleansing your home with the minimum of effort. It only takes minutes for these very efficient exorcising pellets to clear a heavy atmosphere and neutralise all negative vibrations, such as Hostility, Fear and Coldness that may be affecting you and your family. Just try our Home Kits and feel the difference – all for just £10…. These traditional Salts can be sprinkled about to give a short-term cleansing effect similar to the one given by the Happy-Home Kit. Supplied in a pocket pack, they can be carried about ready for instant action. Only £7 per handy-pack containing enough for at least ten rooms…. These very unusual Power Stones are made from formless Instant Crystals dug up after a meteor-shower. The ideal host for a Money Magnet Spell and have proven very effective. Purse sized and only £20 each…. For many centuries now, stones containing a natural hole have been used by country people to keep their property safe and sound, and free from evil. There are several types available to protect different types of property. All stones just £20 each…. All of these Very Special Power Stones have been especially designed and programmed to change the environment in their immediate locality; and are so effective that they should be used with caution. All stones £40 each…. For many centuries, Dusty”s family has been producing Programmed Thought-Forms, Known to the general public as “blessings” or “Spells”, to help people solve their problems. Read through the various lists and decide which Spell (or Spells) is most appropriate to your needs…. The Instant Decision Maker… When you are having trouble with a Yes-No answer, this very special stone disc from Merlin”s Cave can help you find the answer that is right for you. Only £15 including pouch…. This rather beautiful Angels-Wing Shell came from an undersea colony of “Lost Atlantis” known to the ancient Celts as “Tir n nOg” and forms the centrepiece of a very unusual headband. It has been impregnated with a special Spell to help its “wearer” to relax and receive Angelic Help whenever they need it. In spite of being extremely rare, this superb “telephone to the Angelic hosts” will only cost you £15.00…. Livewood Amulets crafted from the sacred Linden Tree. Various spells available, £40 each…. Our traditional LiveWood healing wand will bring the hidden abilities you already have, out of the dark recesses of your sub-conscious and channel this marvellous healing energy exactly where it is needed. Only £85…. The Chinese are very superstitious when it comes to figures, they choose telephone numbers, house number, business numbers, car number plates and anything that has numbers in very carefully. Every month we get to visit several homes and businesses on consultations and it amazes us as how far our clients take Feng Shui almost to paranoia, which is not good. If you have bad numbers do not worry about it, as I will show you how to eliminate the inauspicious effects. A little story to begin with, last Friday night I was parked outside the cinema waiting to pick up my two boys and as much as I hate to admit it I was listening to BBC radio 4. I know you always think of the Archers or such like and this is what my Grandma used to listen too, they have some great debates on some nights. Anyway this program was about superstition, and one of the interviewers was saying how she was not superstitious but had spent the last 30 years saluting magpies or never walking under ladders or the cracks of pavements. 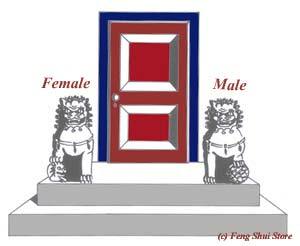 Well numbers and Feng Shui, are more superstitious Chinese folklore than anything else, do I take it seriously? Yes and no, if I found the perfect Feng Shui house with a good facing direction and it was good for my family but the house number was number 4, I would still buy it although I have to admit I would use the counter measures listed below. The main reason these numbers are considered unlucky is because the way the numbers sounds when spoken especially to the Cantonese. An example in western numbers would be the #11 could sound like heaven or #8 sounds like weight or #1 sounds like son, do you see what I mean? So if you have an unlucky #4 and you are from a country other than China. Think of #4 as sounding like “more” which is great. Join our free monthly Feng Shui newsletter below. Fu Dogs position for your home or office. 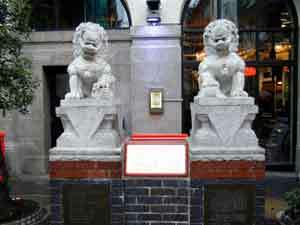 Also know as guardian Lions, lion dogs, or temple lions. We consult on hundreds of homes and business each year and in my opinion 70% will have Fu Dogs either placed by the door or windowsills, I would also say that 50% are placed in the wrong order. You will find many variations on web sites, some will have a globe under one paw others will have a Cub under another paw, the most significant thing to remember is the order placement and not which foot the globe or cub is under. The male lion, holding a globe under his left or right paw should be placed on the left side (as you are looking out of a door or window). 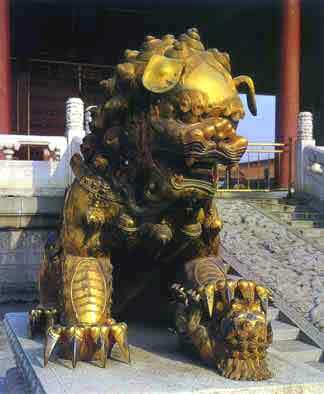 scattered throughout the Forbidden City. Join our free monthly newsletter below.